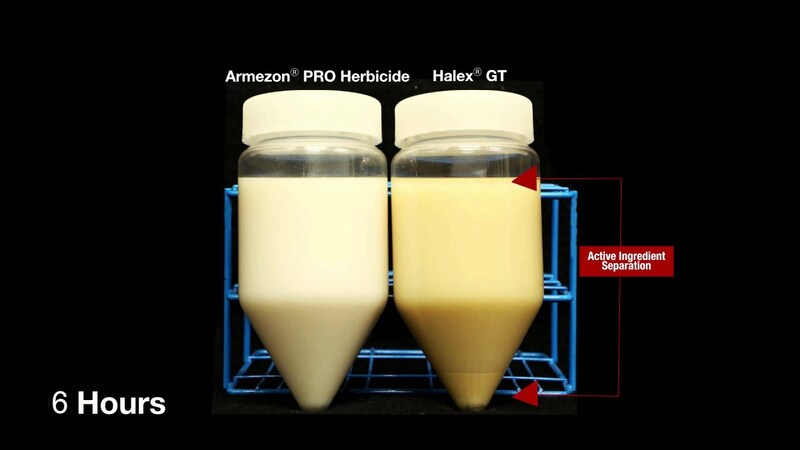 Armezon PRO herbicide is the most flexible corn herbicide on the market delivering more reliable activation. On average, Armezon PRO herbicide is 2.5 times more likely to receive an activating rain than competitive herbicides. In addition, Armezon PRO herbicide delivers broad-spectrum POST grass and broadleaf weed control. It also offers a wide window of application from PRE-V8 or 30” and gives growers the freedom to easily tank mix with other herbicides and adjuvants like MSO, COC, NIS based on their unique needs. Armezon PRO herbicide delivers consistent product stability which provides excellent handling and compatibility with other herbicides and adjuvants. With its unique formulation, Armezon PRO herbicide helps to minimize tank settling and reduce sprayer buildup.